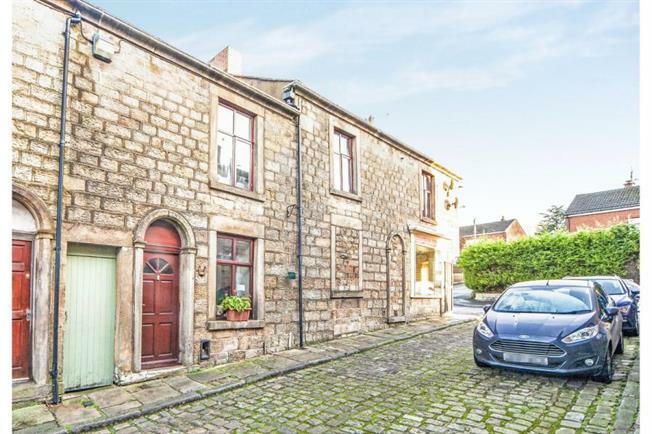 4 Bedroom End of Terrace House For Sale in Chorley for Offers in the region of £350,000. FEATURED IN THE BIG OPEN HOUSE EVENT - Sunday the 28th April between 12pm and 2pm. Call for more details on 01257 279315. Previously this substantial property has been the local village convenience store which has been family owned for many years, located in the ever popular Whittle-le-Woods area close to local motorway networks and country side walks this property is now on offer with huge potential. This fantastic family home has more to offer than first impressions with Oak flooring and fitted bedroom wardrobes to mention a few so we highly recommend taking time out to view. Briefly comprises three cottages used as one home which briefly consists two cellar rooms used as games room and bar area with power and lighting, entrance reception room with stairs leading to the first floor ,kitchen utility area and open plan reception room used to be the main shop area. The first floor has four double bedrooms one with three piece en-suite, lounge, kitchen breakfast room, shower room, family bathroom and stairs leading to the attic room currently used as bedroom five.Externaly there is an outside decking area with fantastic views and garage for off road parking. Wooden entrance door with stairs tor the first floor and to the cellar, double glazed window to the front. Used as a utility room with sink and drainer shelving for storage, double glazed window and rear access door, door to the open plan shop area. Used as the shop area in the past with two windows and entrance door. Power and lighting, bar area and open access to the second cellar room. Used as a games room with power and lighting. Double bedroom with wooden fitted wardrobes, wooden flooring and double glazed window. Double bedroom with fitted wooden wardrobes, Oak flooring, wooden double glazed window and door access to the ensuite. Fitted with a three piece suite in white with low level Wc, pedestal wash hand basin, walk in shower, tiled flooring and to compliment. Fitted wooden wardrobes, double glazed window and wooden flooring. Double Bedroom with fitted wooden wardrobes and double glazed window. Fitted with a four piece suite with panel Jacuzzi style bath, low level Wc, pedestal wash hand basin, double glazed window, tiled flooring and to compliment. Fitted with a three piece suite with walk in shower, low level Wc, pedestal wash hand basin and tiled to compliment. Electric fire with feature marble surround, tow double glazed windows and radiator. Fitted with a range of wooden wall and base units with contrasting worktops, space for appliances, one and a quarter bowl sink and drainer with mixer tap, tiled flooring and to compliment, double glazed window and wooden door to the side decking area. Used as the fifth bedroom with three sky lights and fitted wardrobes. Decking area with far reaching views, detached garage with power and lighting providing off road parking.